The purpose of this project is to replace the thermostats of my electric radiators in my house. The heating system of my house is a typical 1970s installation in Sweden, electric radiators with built-in bimetal thermostats. A couple of years ago I bought a product called IQTherm for upgrading the thermostat function. In each room you install a module with a triac (TR/P) that pulses the current to each radiator to get 0-100% power. In each room the triac module is controlled by a thermostat module (EL) which can be programmed with a (IR) remote control from a short distance. When I recently stumbled upon MySensors I got the idea of controlling the heating with home automation. So I started to implement a MySensors node that could connect to the triac module and do what the thermostat module does. But now I will be able to control the heating from Domoticz, or any other HA controller. The MyQTherm sensor node is connected to the triac module with a cable with 4 leads. 2 of the leads carries 12V AC from triac module to the sensor node for power. The other 2 leads has 12V DC signal from sensor node to triac module, enabling/disabling the power to the radiator. 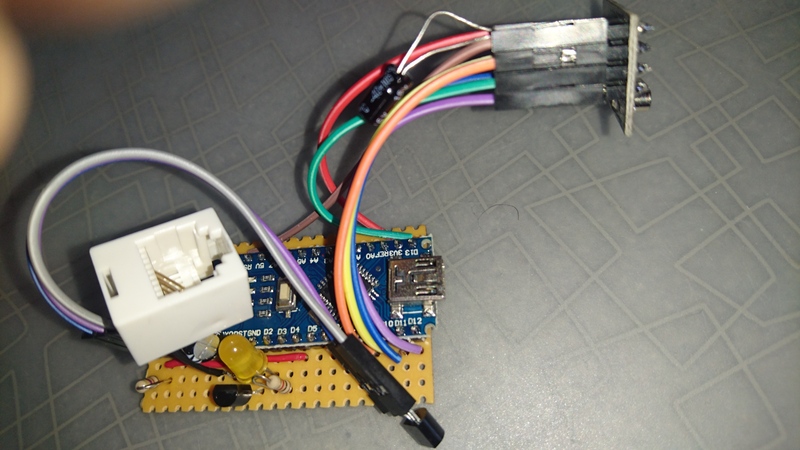 The sensor node measures the room temperature with a DS18B20 also connected through a 4 lead cable. Optionally you can attach a mini PIR motion sensor to this cable so the node can detect presence in the room. 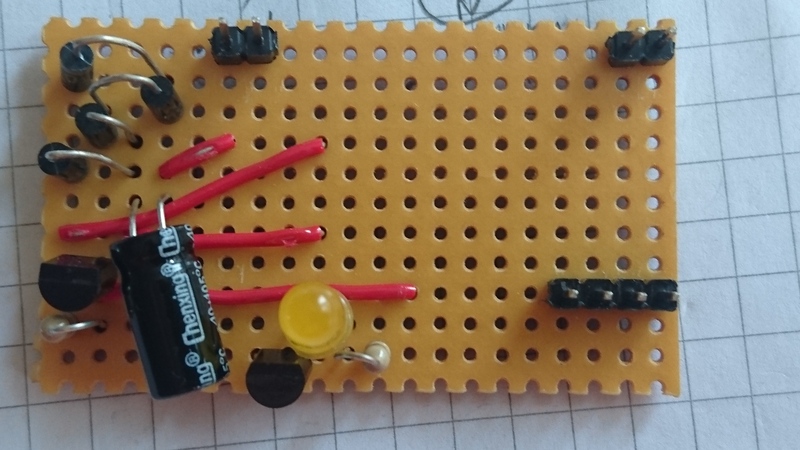 The 4 pins are +5V, GND, PIR, TEMP. TEMP is connected to D4 on the Arduino, PIR is connected to D5. The PIR pin could equally well be connected to a reed switch to operate as door alarm. So far I have built a prototype on stripboard using a Arduino nano for convenience. I am currently designing a PCB where I will use a 5V Arduino pro mini (clone). This is the very first PCB I have worked with so it might not be so pretty. First I was thinking of putting the sensor node inside the triac module. But I ruled it out since there is 400V in there and not enough space. I also put the temperature sensor inside the sensor node at first. Then I dicided to have it at the end of a thin cable for easier placement a small distance from the radiator. As controller I started out with Domoticz so I know that the sketch works pretty well with that. I cannot guarantee that the sketch works equally well with any other HA controller. The sketch is still in beta phase with some debugging info printed. The sensor node regularly sends data to the controller: current temperature, current power output to radiator, energy consumption and tripped state of optional motion sensor. My plan is now to finish the PCB and send it to itead or seeed for production. For casing I will probably use a bit of a cable duct. This will be attached to the side of the triac module. So I would very much like to have some feed back on the board design and the sketch. Update: I have received the PCBs and built a node which I am testing live in a room in my house. It is working smoothly! In my sketch I have implemented a simple PID algorithm to control the output power.